In definition of shotcrete, we have provided that impact of jet exerts such amount of force that materials are compacted not to sloughing or sagging. The expectation or target must be this but actual situation is never the same as that of practical cases. The high velocity for projection exerts impacts on surface to be shotcrete which results some materials to rebound. Now we know shotcrete may be concrete or mortar. In case of mortar, the coarsest particle is fine aggregate but in concrete, we have to provide some coarse aggregate. Obviously the coarsest particles of the mix rebound more. Thus concrete has more rebound than mortar as materials of shotcrete. The additional information is that due to lack of coarse material, the projected in-situ shotcrete is richer than expected mix proportion according to batch. 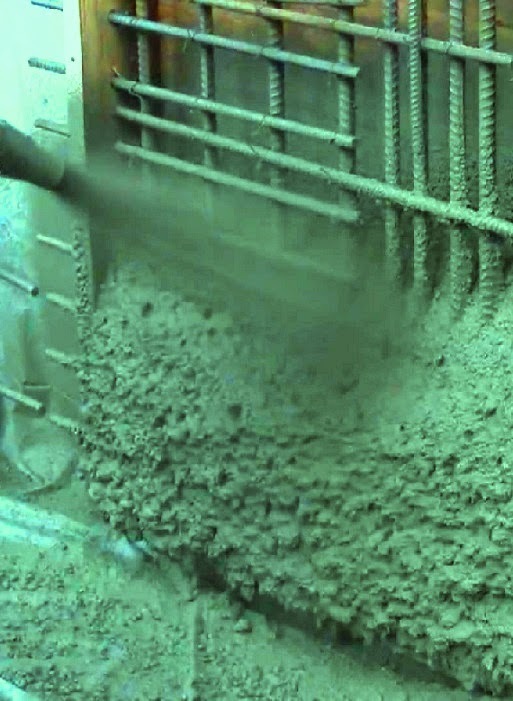 What do you think the richer mix produce shotcrete of greater strength? Obviously strength is increased with cement content but with this advantage, this will lead to additional shrinkage (slight increase) and require additional care. 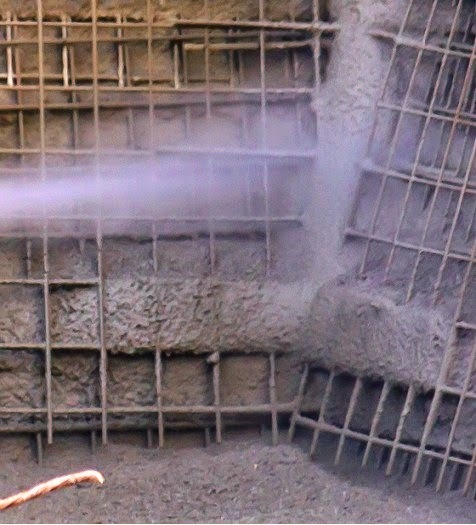 Rebound of coarse particles produce rich shotcrete which results little increase in shrinkage. The rebound percentage is not uniform throughout the shotcrete projection. Many factors influence the rebound percentage, of these; most important factor is thickness of section to be produced by shotcrete. A thin layer of shotcrete suffers more loss than thicker section. The probable cause of more initial loss is the highest percentage of rebound is occurred at the beginning of shotcreting when the material is impacting on hard backup surface. The loss is generally diminished as the progress of shotcreting. This is due to impacting of materials on plastic cushion provided by shotcrete which is built up gradually. The degree of rebound with previously discussed plastic shrinkage; another economic consideration is waste of materials. Not only loss incorporated in rebound but also materials are accumulated in critical locations where subsequent layers of shotcrete produce a greater section than expected.